Crunch and analyze Excel data the way the professionals do with this clean, uncluttered, visual guide to advanced Excel techniques. Using numerous screenshots and easy-to-follow numbered steps, this book clearly shows you how to perform professional-level modeling, charting, data access, data slicing, and other functions. You'll find super techniques for getting the most out of Excel's statistical and financial functions, Excel PivotTables and PivotCharts, Excel Solver, and more. 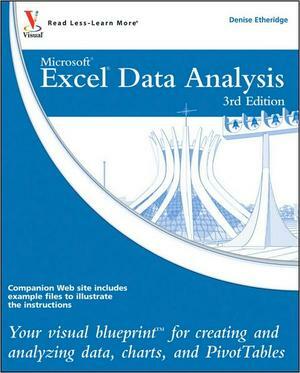 Learn Excel at the highest levels with this practical guide.